TRIVIUM…A truly inspirational metal band based in Orlando, FL currently composed of Matt Heafy (lead vocals, guitars), Corey Beaulieu (guitars, backing vocals), Paolo Gregoletto (bass, clean backing vocals) and Mat Madiro (drums), have just released Silence in the Snow (Roadrunner Records). I strongly consider the release of this album an early birthday gift. TRIVIUM has been recently criticized, and regardless of what people think, I can still classify them as my favorite band today, regardless of where they play, regardless of who they play with and how they play. The thing that has made me feel a strong connection with them is basically the fact that I have never heard of any meltdowns or racist comments from members in general. All four artists (and crew) are very down to earth and focused, and it makes me have such respect for everyone that makes a TRIVIUM show or album happen. I remember that I had always been drawn to their music, from The Ascendancy to Vengeance Falls, and now extending that to Silence in the Snow. I also remember seeing the band almost every year since 2009 and I consider that every transition that they have made has been very productive to establish themselves as a truly authentic group. They’re not just another band, they have a unique style now. They are defined as TRIVIUM and I hope that one day I get to see their logo at the very top of a festival flyer in North America (just like it was at Bloodstock earlier this year). 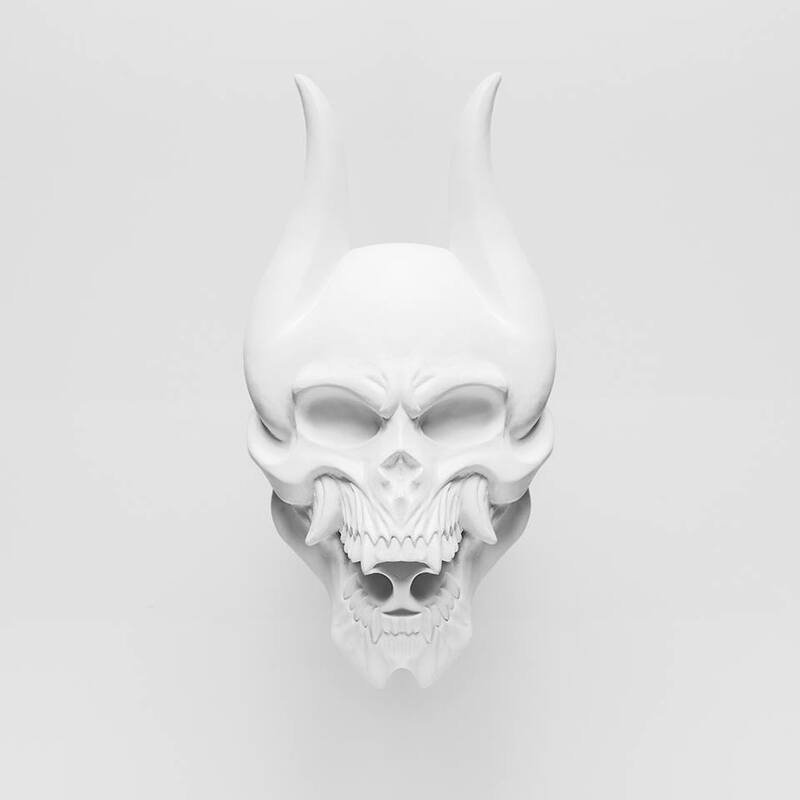 With Silence in the Snow, TRIVIUM clearly decided to make songs that some people of the metal community classify as “radio music” and others classify as part of this evolving process that the band basically has been carrying on for years with new releases. Before going through the songs, I must admit that the first single wasn’t what I expected. I’m used to hearing an angry TRIVIUM, more energetic, “heavier”, “more metal”, but I’m also glad that I decided to have an open mind since they released it and I can say that if you love music for what it is, you won’t be disappointed. It’s funny how “Snøfall” is more like “Gøtham”, very familiar tones, but the perfect introduction before their track “Silence in the Snow”, which wasn’t my favorite when I listened to it, but I got to like the beats just like I did with “In Waves” about four years ago. “Blind Leading the Blind” is by far my favorite track. I love to sing it, I love to hear it and I love the energy and message that it holds, I can’t wait to hear that one live during TRIVIUM’s tour stop with TREMONTI on October 6 here in Dallas. “Dead and Gone” starts slow, but it’s also very heavy if we consider that there are not any unclean vocals from Corey at all; the chorus got me very into the song. “The Ghost That’s Haunting You” is even calmer, but it also sounds heavy and I loved the chorus. It’s another tune that’s great for somebody who likes to sing in the shower or in the car like me. “Pull Me From The Void” sounds a little more like speed metal at the beginning, and the song in general has a different dynamic every time, but it’s still a good song to jam to, especially with those melodies. “Until The World Goes Cold” is one of those songs that you can hate at the beginning, but after a while it either can get stuck in your head or you can’t get away from it at all, and the first option happened to me for almost an entire day, just like it did with In Waves’ “Black”. Moving on, “Rise Above the Tides” is also a decent song, with faster drumming, courtesy of Matt, and some more inspirational lyrics that just make me admire the band, not only as musicians, but as human beings as well. “The Thing That’s Killing Me” could be considered as another heavier tune (no unclean vocals, like everybody knows at this point) but this one will most likely put that person that’s made you suffer in your mind. “Beneath The Sun” brings the album to a close and although it sounds like it’s a boring one, the chorus is sensational. “Breathe in the Flames” finishes the record off with riffs that remind me very much of the In Waves album in its majority. There are definitely MANY things that I have to say regarding TRIVIUM, their albums, music, influence, fans, shows, etc. that all can be summarized in two words: THANK YOU. For being such an awesome band that still makes me jump with excitement as if I was fifteen years old. With this new release, I can still find tunes to headbang, to mosh, to sing, to live, to cry, and I want to express my support for this transition which I’m definitely not 100% a fan of, but I’ve found a way to enjoy it. I’ll stick a million times to Shogun, but I want to recognize that Silence in the Snow has worked out pretty good for me, I hope that it does for you too, beloved reader. Support TRIVIUM by picking up their latest release. Each penny invested in these guys will be returned in different positive ways for your life. STANDOUT TRACKS: “Blind Leading the Blind”, “Dead and Gone”, “The Ghost That’s Haunting You”, “Pull Me From The Void”, “Rise Above the Tides”, “Beneath The Sun”.